Being kind of stressed and busy cause of the new house and stuff (still unpacking slowly), I did not buy a pumpkin for Samhain this year (SHAME), ergo I couldn’t prepare any pumpkin-based recipes for the occasion. However knowing that another very important food for Samhain were oranges, I cooked an orange-based meal instead. I was very lucky in that a book I had bought only 4 days before, arrived by post just the day before Halloween, so I could also break-in my kitchen for its first Halloween by using it. 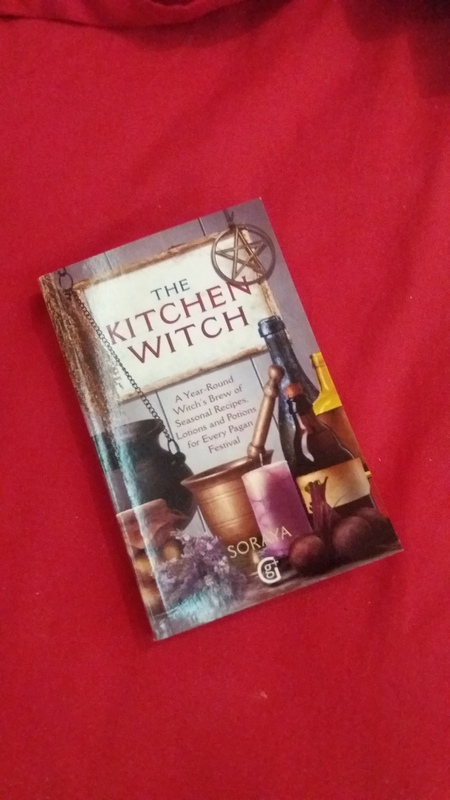 The book is called ‘Kitchen Witchery’ by Soraya, and I simply love it. It’s just what I need. I’m so tired of these ‘beginners’ books’ with their ‘ways of celebrating the Sabbats’ and tables of correspondences! I don’t need them and at this point I’m definitely NOT a beginner anymore. Haven’t been that for ten years lol. Anyways, the book has a brief introduction by Soraya, and that’s it – then you have all these delicious RECIPES, togather with some info about essences, oils and incense. 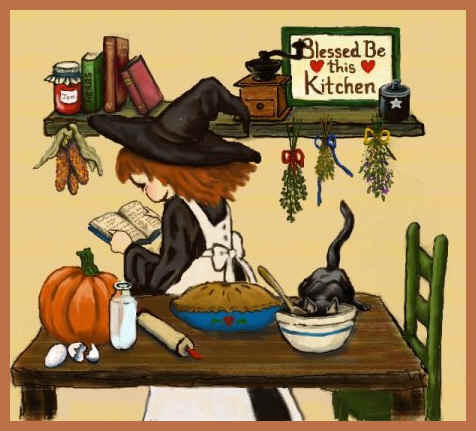 The actual recipe I prepared for Samhain was not exactly found in the book, but it was inspired by it. I took Soraya’s own recipe and changed it, making it my own. 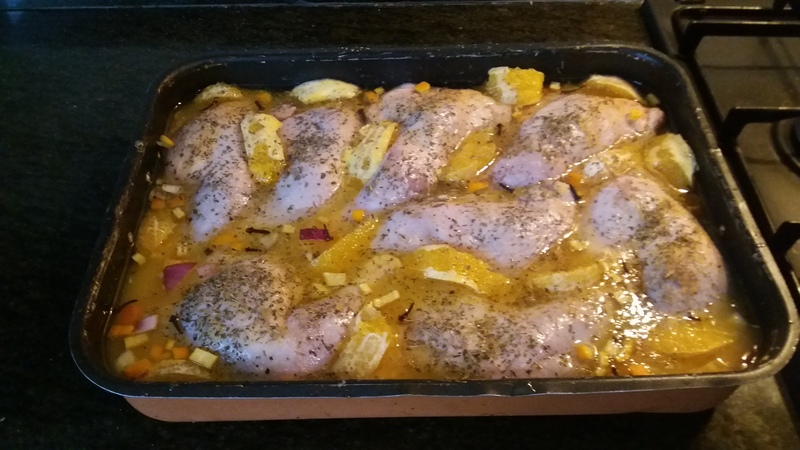 After all – that’s the fun of cooking! So – here it is! Dice the onions and disperse in a large baking pan. Put in the carrots and the defrosted chicken thighs. Sprinkle garlic powder to taste. Submerge the chicken in 2/3 orange juice to 1/3 water. Drizzle the sunflower oil at the top. Sprinkle the thyme, mint and salt. Start pre-heating the oven. Take the oranges and peel them. Take the rind of one orange, chop very finely and sprinkle around the pan. Do the same with the whole cloves. Divide the oranges into slices and position them between the chicken thighs. Put the pan in the oven and leave for around an hour and a half or until the chicken is crisped. I also prepared mashed potatoes with milk and butter to be eaten with the chicken.